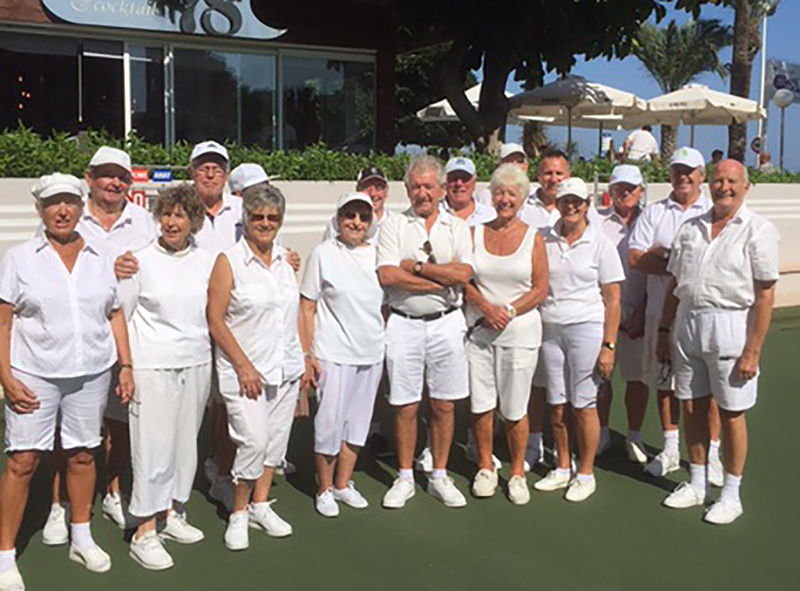 The U3A Green Bowls group has been in operation for several years. It is very friendly. We meet at the Paraiso Mar Bowls Green (which is a public Green) on the Levante Beach. 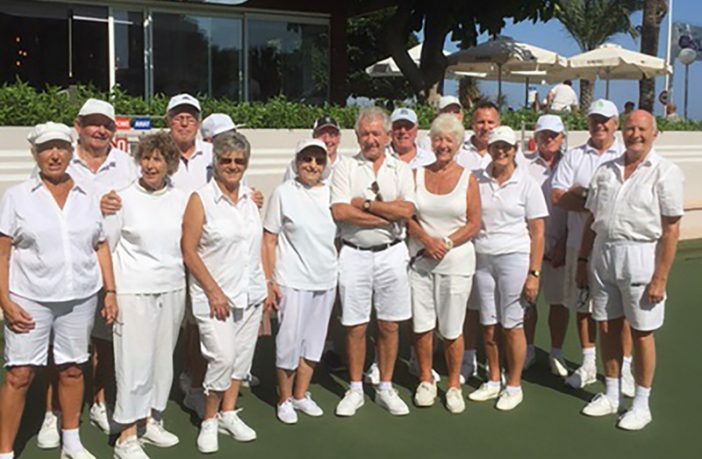 Most members who had not played before have become accomplished bowlers and are good enough to join any Bowls club. The sessions are on Mondays—for experienced bowlers,—and Thursdays for all comers. Cost is €6.00 per session. Coaching will be given to beginners on Thursdays if required. This gives members the opportunity to try Bowls without any obligation. Members of the Calpe U3A are most welcome, so come along and join the fun. Flat-soled shoes are essential; dress is casual and comfortable—not necessarily white, although our experienced players seem to choose to wear white. Bowls are supplied. Unfortunately there is now a shortage of small size bowls which makes it rather difficult for people with small hands, especially the lady members. If any members hear of any Bowls that are no longer in use, contact the group leader. During the hot summer there are evening sessions played under floodlight, which is rather fun. Re-started 4th September. Times will be reviewed in Nov.